Our topic for the summer semester was to focus on “Innovation of use”* related to mobility. It means in the broadest sense to solve problems under the use of existing infrastructure. Finding new connections, combinations and benefits in existing systems. 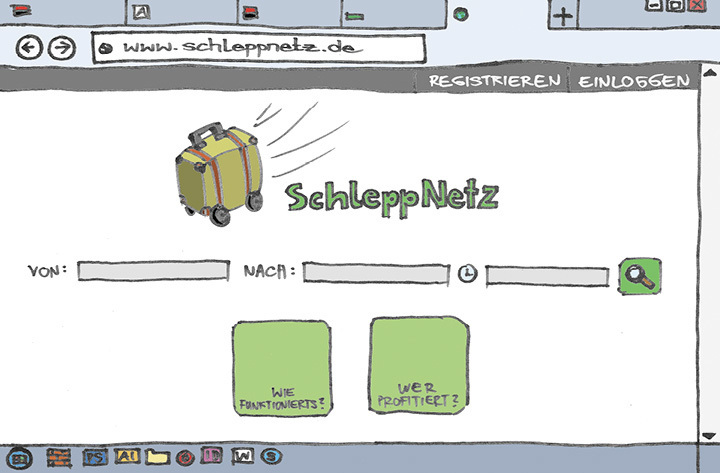 The idea for Schleppnetz evolved after a long analysis phase with the intention to satisfy the lack of cheap and fast luggage transportation. 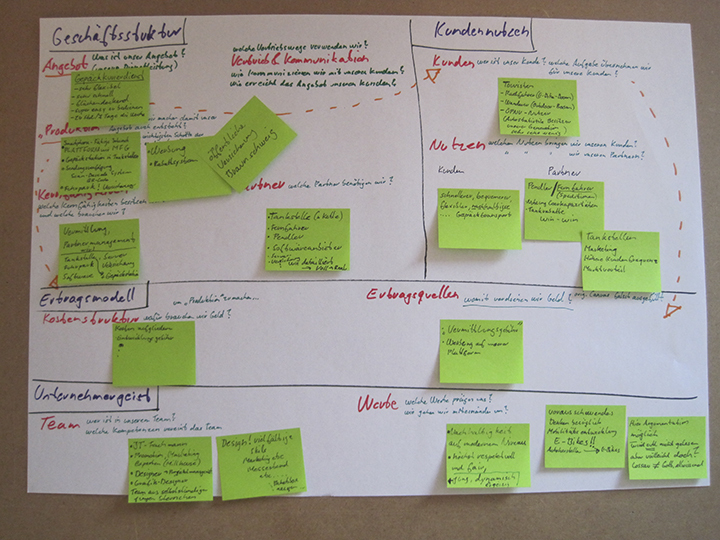 Designing our Business Modell under the use of “Business Model Canvas”. 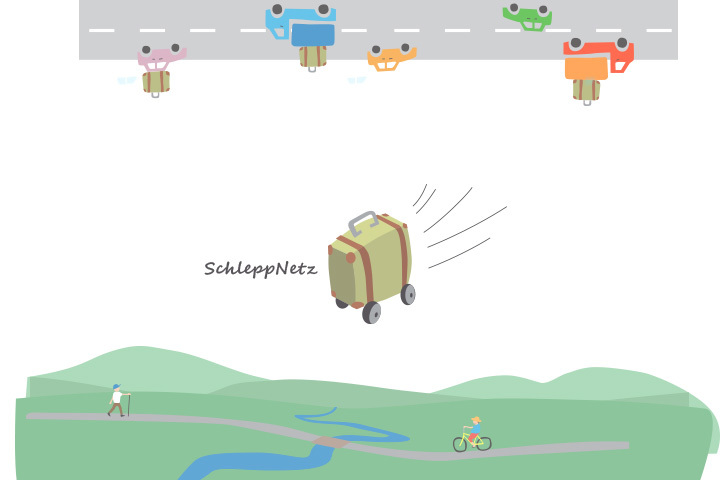 Schleppnetz offers travellers cheap luggage transportation with a transport time of maximum one day. Thereby the user earns more flexibility in planning his holidays. 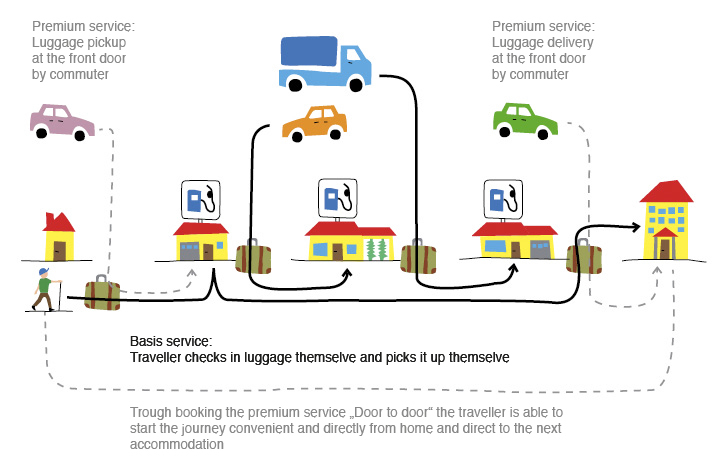 Furthermore the customer gets a good feeling about using this service because its an ecologically sustainable service which uses already moving transport capacities more efficiently. 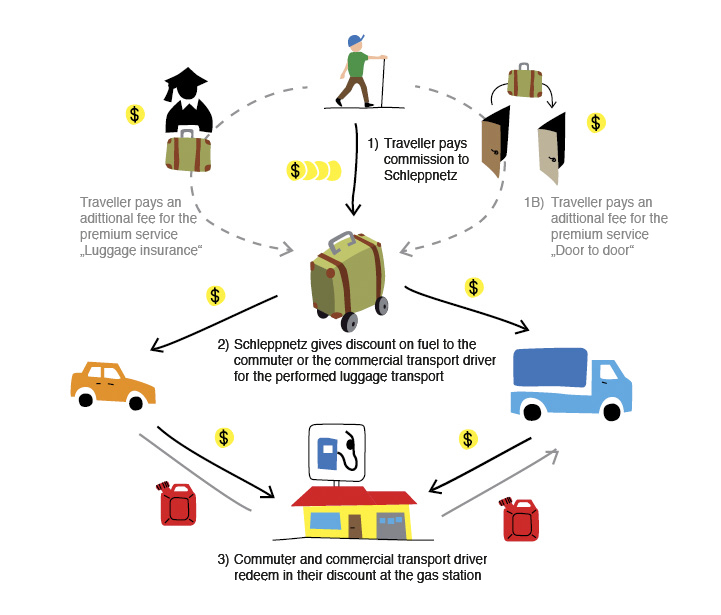 Beside the more efficient use of their transport capacity, they can get a monetary advantage at the gas station. As a business partner of Schleppnetz the frequency of customers will rise up because the Schleppnetz driver will only refuel at the business partner’s gas stations. In addition to that, there is a benefit for the image of the gas station, because they support a service which is ecologically sustainable.